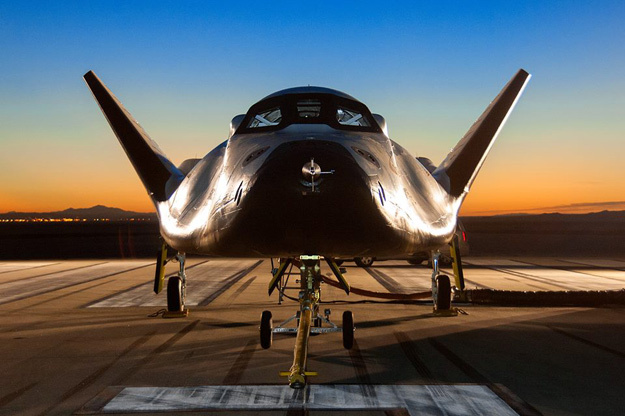 “We are thrilled that the work we are doing to continue the legacy of the Space Shuttle and space planes through the development and now flight testing of Dream Chaser has been recognized by Fast Company. Through the previous foundational work of NASA and continuing on with the amazing collaboration of team members in 30 states working for 15 companies, eight NASA Centers and six universities – our “Dream Team,” we expect to conduct our first orbital mission in 2016,” said Mark N. Sirangelo, corporate VP and head of SNC Space Systems. The Dream Chaser spacecraft can carry up to seven crew members, or can fly completely autonomously with no crew. It is designed to ride into orbit atop existing rockets, and then glide home and land on any standard, commercial runway – unlike the Shuttle, which required longer landing strips and special hazardous vehicle processing ground equipment. The SNC spacecraft is on track to carry NASA astronauts into space in 2017, with the first uncrewed orbital vehicle scheduled to launch in November 2016. Fast Company also recognized Sierra Nevada Corp. for its work on hybrid rocket motors. SNC’s Space System team builds the hybrid rockets used on Virgin Galactic’s suborbital spaceplane, SpaceshipTwo (SS2), which were flight-tested for the first time this past year and have successfully powered three SS2 test flights.